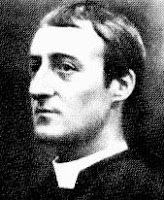 On his good days, when Gerard Manley Hopkins was not so weighed down with the deep grief that comes from the heavy work of living on this planet, the poet-priest could render with incredible clarity the fundamental beauty of a world infused with divine perfection. I have yet to meet a person who does not enjoy his poem"Pied Beauty"; even readers who are not spiritually inclined appreciate the imagery and musicality, and more especially the way the poem's details teach us how to love the world and embrace its contradictions. And all trades; their gear and tackle and trim. Contrast, opposition and change create beauty and prompt the poet to honor the eternal paradox: contrast, opposition and change are constant and therefore divine -- stippled, fickle, beautiful, perfect, all.